It wasn’t the biggest ever story, but the Sunday Times liked it enough to pay me for it. It even got a bit of social media traction at the time. And it was based on three lines at the end of an internal RTÉ memo. 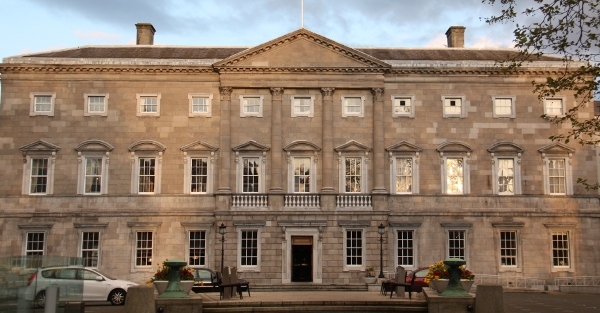 In May 2010, a Labour delegation met some senior RTÉ producers to discuss possible formats for Leader’s Debates in the election. And at the end of the memo summarising the arguments was a brief reference to changing party political broadcasts to a shorter, 30 second format. There’s no other record of the meeting. Labour didn’t submit written proposals, so there’s nothing else to FOI. If the report had been in oral form, I’d never even have known the meeting took place. Hooray for aide memoires. Sometimes, an FOI request is a fishing expedition. You suspect there may be something unusual going on, and you ask for some documents. Sometimes, it’s just about creating a full public record. See for example the work Gavin Sheridan is doing on ministerial and TDs expenses, or gathering ministerial diaries. And sometimes, I’m just nosey. In February, the Sunday Independent reported that Fianna Fáil had met with RTÉ executives in November 2011, and made a presentation about anti-Fianna Fáil bias. “That sounds interesting,” I thought, and lobbed in an FOI. And since it was costing me €15 anyway, I asked for all communications from political parties to RTÉ about bias not just in 2011, but since 2007. I appealed the decision (€75), pointing out that it exempted internal review, not an analysis or submission from an external agency. The appeal was upheld, and I got my documents. Funnily enough, those records did not include the “12 page document” which had originally piqued my interest. Documents go missing unfortunately, and RTÉ does not have a centralised system recording all correspondence. Documents which were released included the Greens complaining in 2007 that every other party leader got a slot on the Late Late Show, RSF complaining that no one covered their Ard Fheis, and Labour complaining about an “ambush” on Emmet Stagg. Most tantalising though was a file copy of a letter to Fine Gael thanking them for their “analysis of RTÉ output”, which “would be circulated to key editorial staff.” Unfortunately, no copy of this FG document could be found. And of course, the FOI did contain the Labour memo, so I got a story out of it, even it if cost me €90. Meanwhile, on re-reading the original Sindo report, I noticed the Fianna Fáil presentation took place in November 2011, but was repeated again early in 2012. Another €15, this time asking for records in the year 2012, and I received the long-anticipated 12-page document. You can make what you will of the figures supplied to RTÉ by Fianna Fáil, and the arguments the party makes. One observation I’d make is that while parties might argue for representation on panels based on their vote, Prime Time is more interested in having two opposing voices when there’s a debate. Since Fianna Fáil, Fine Gael and Labour support the Troika deal and bank bailouts, while Sinn Féin opposes (along with the ULA and a smattering of independents), this can lead to Pearse Doherty and Mary Lou McDonald getting quite a lot of airtime when that issue is covered. It may also partly explain why Stephen Donnelly got so much exposure. Secondly, in view of Fianna Fáil’s complaints about the amount of coverage it received pre-election, it may be worth revisiting old footage and counting the number of times Miriam O’Callaghan turned to the camera and said “We asked the government for a spokesperson, but hey declined to provide us with one”. Over time, I’d expect the same pattern of media management to affect Fine Gael/Labour appearances. FOI is public information, so I’m making all the documents I received public. Enjoy. All I ask is if you notice anything interesting, leave a comment, and if you write a story elsewhere, share a little link love.